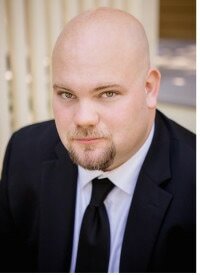 Currently in his second season with the Florentine Opera Studio Artist Program in Milwaukee, Thomas Leighton is from Saugerties, NY, and holds degrees from the Eastman School of Music in Rochester, NY with graduate studies at the University of Wisconsin-Madison. Mr. Leighton has performed in Julia Adolphe’s Sylvia, at NYC’s Bargemusic, and with Milwaukee’s Present Music. Recent highlights in Thomas Leighton’s career include appearing in Florentine Opera’s Madama Butterfly, singing the role of Dr. Blind in Die Fledermaus and taking the stage in concert with the Milwaukee Symphony and Madison Symphony. Other recent credits include appearances in Fidelio and Sweeney Todd, both with Madison Opera where he was a Studio Artist in the 2014-2015 season. Last season also included the role of Tamino in Die Zauberflöte at the University of Wisconsin-Madison.